Have a job that you’ll be invoicing for regularly? Rad! 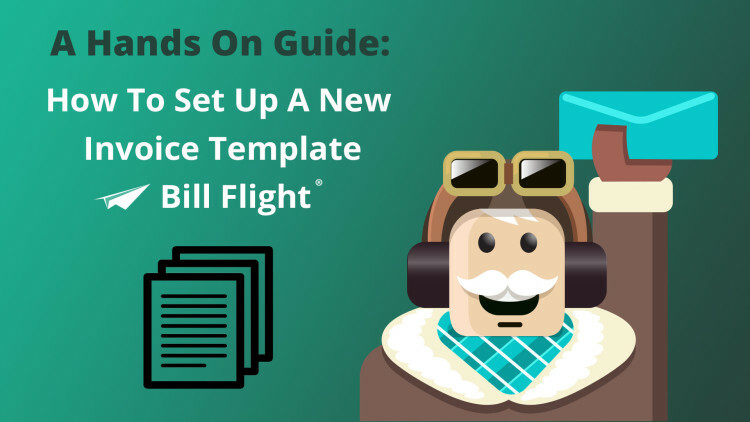 Bill Flight can help ease the pain with a custom template. This will allow for quick set-up, sending and (hopefully) payment. 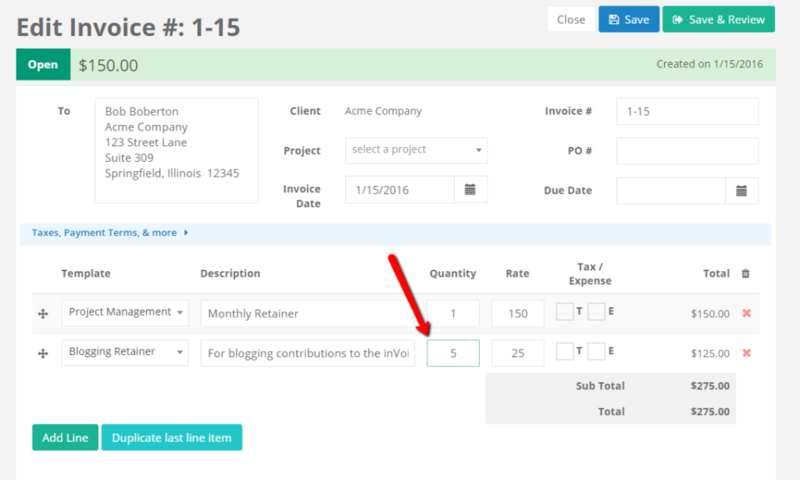 This will allow you to set up a standard project invoice that can be recalled down the road. Want to invoice again in a similar fashion? 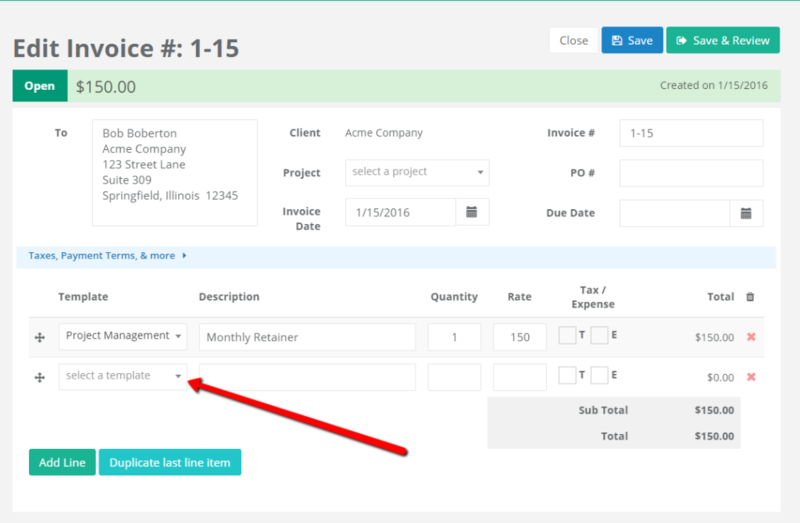 With a recurring template, instantly pull all of the elements (description, tax info, rate) into an invoice. Note: This isn’t a recurring invoice, rather a template. If you’re looking for a recurring invoice that is automatically sent, see our detailed article on setting up a recurring invoice! Ok, still with us? Let’s get started! 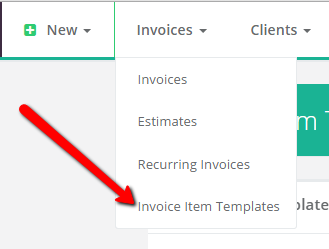 Underneath the “Invoices” tab, you’ll see the “Invoice Item Templates” link. Click it. This will be the item that is pulled into the invoice. Here, you should enter all the information in detail and use the recommended quantity that you typically use. If you are manually tracking hours and adjust the quantity, we’d recommend using a quantity of one, then changing that number quickly when creating the invoice. Once you’re done, hit save. You now have yourself a new item template! You can now choose a pre-built template to use! 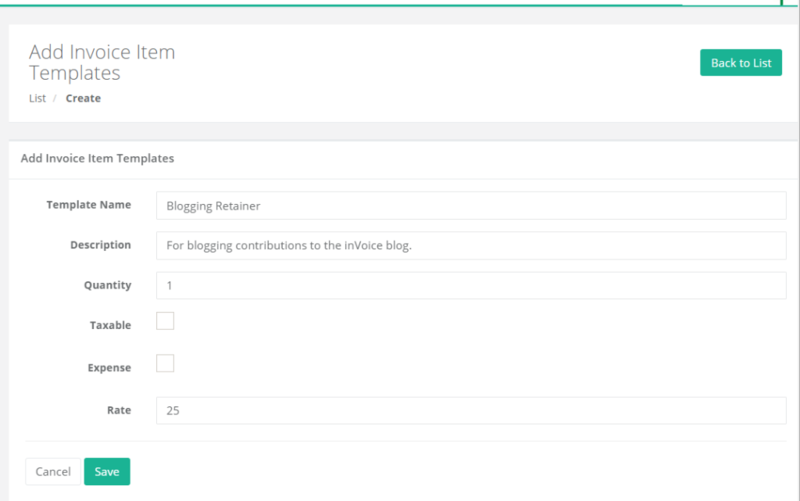 We’ll grab the “Blogging Retainer” template that we just made. Once selected, all of the information that we added to that template will be added in that line item. This is where you should double check to make sure everything is accurate, then tweak the quantity if you have any changes (if using hourly manual tracking or invoice based on deliverables, etc). Now it’s time to send that invoice! If you don’t know how, check out our handy tutorial on How To Email An Invoice. Not a Bill Flight user yet? You’re really missing out! Take a spin today for absolutely free.